fetch the gas limit ? Using https://ethereum.github.io/browser-solidity/, with a gaslimit set to 3000000, getGasLimit() returns 6000000. Why does it return twice the gas limit ? 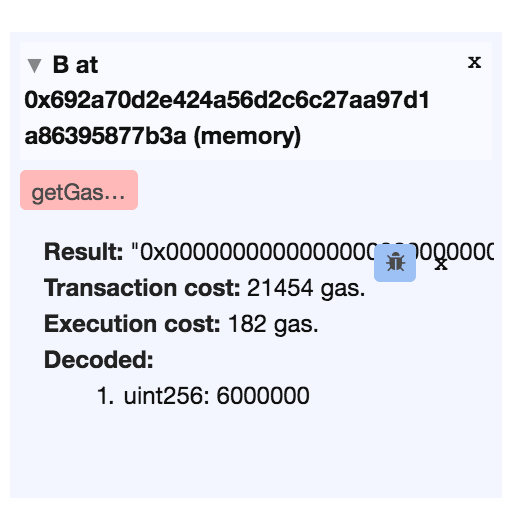 This confusion was due to ambiguity in the term "gas limit," which in browser solidity meant per transaction gas, but OP assumed meant the block gas limit. The confusion was compounded by the fact that the block gas limit in the browser VM defaults to twice the transaction gas limit. Not the answer you're looking for? Browse other questions tagged solidity evm remix opcode assembly or ask your own question. What are the runtime scopes in contract interopability?